LEWES, DELAWARE, UNITED STATES, April 2, 2019 /EINPresswire.com/ -- Indian pharmaceutical market was the 11th largest pharmaceuticals market by value in the world in 2017. 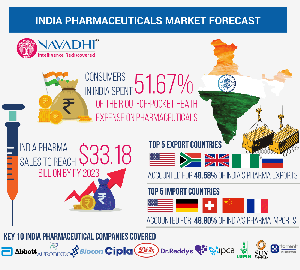 It is expected to register second highest CAGR growth among all countries till 2023 and improve it’s raking to reach 9th position in the global pharmaceuticals market. 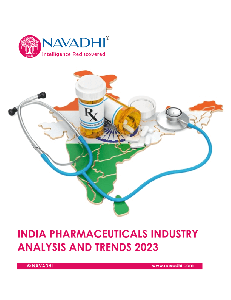 Indian pharmaceutical market is expected to grow in the upcoming years despite recent slowdown due to price erosion in U.S. generics pharmaceuticals market, delay in approval of complex generics by US FDA (United States Food and Drug Administration) and aggressive drug price control mechanism like Government of India mandated drug price controls using drug price control order (DPCO). The reasons are simple: aging and growing population, rising income levels, and emerging medical conditions and emergence of new diseases.